Spray Bar: Balanced aluminum spray bar w/ Stainless Steel HD nozzles. 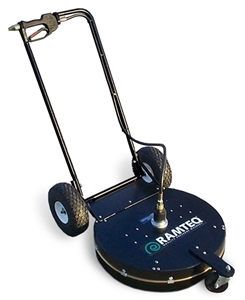 Frame: Aluminum Construction, large wheels for easy mobility, Defuse brush. Tires: 10" Pneumatic Caster: 4"